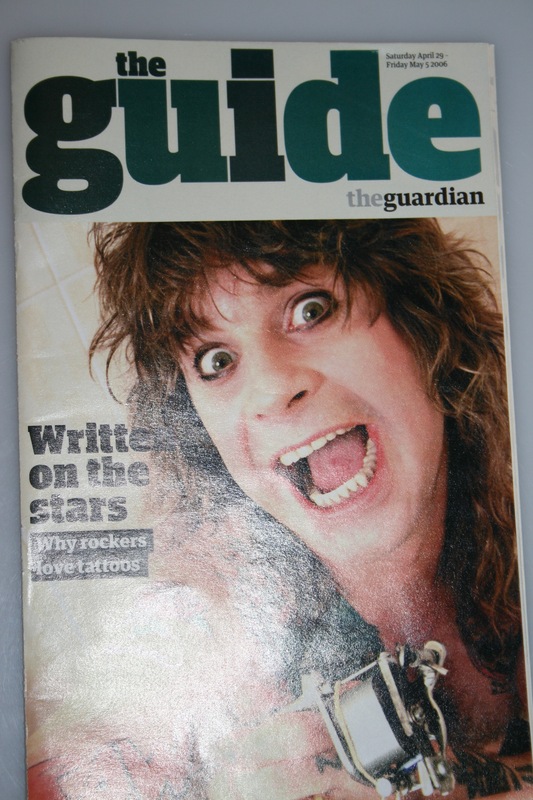 The photograph was taken in a pub toilet in Birmingham in 1988 whilst I was working for the Coventry Evening Telegraph music pages called 'street talk'. 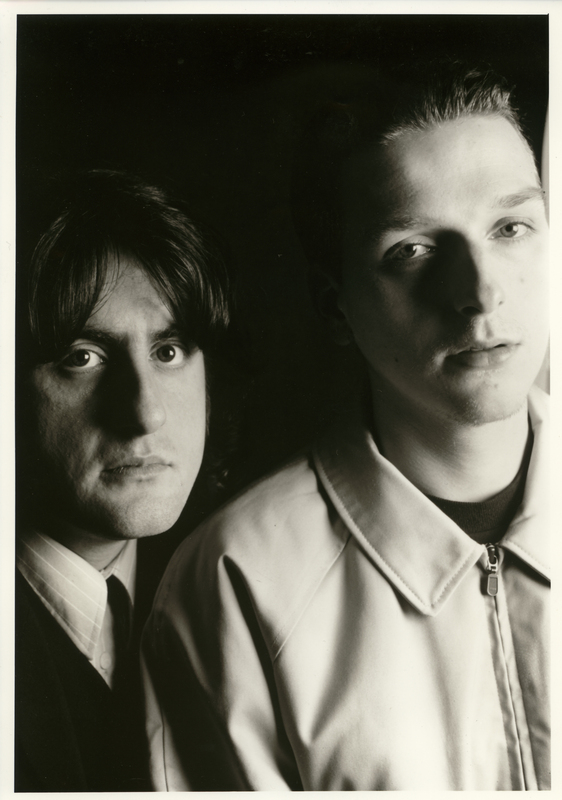 Myself and Chris Wilson the journalist went to Birmingham from Coventry to cover the concert, I remember very little about the gig but the photograph was taken in the toilets because it was pitch black every where else in the Pub. 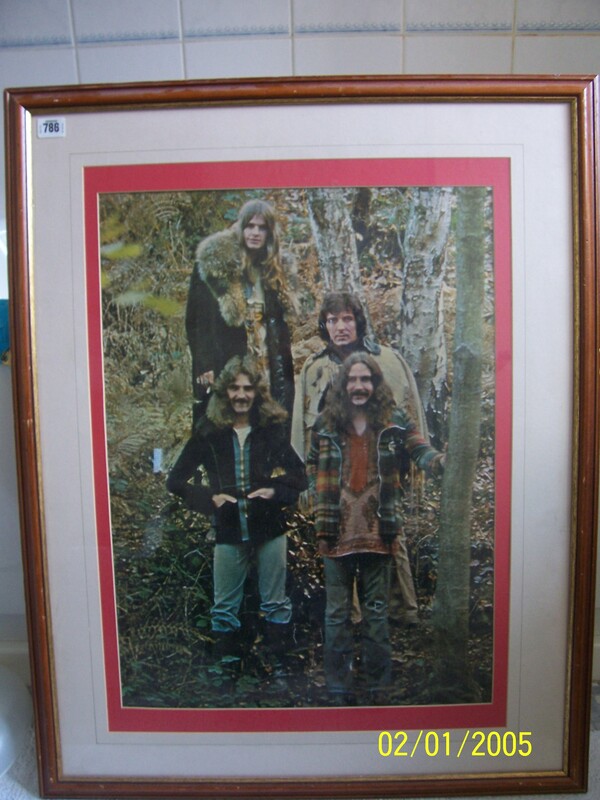 We have guessed 1972 for this poster which was brought at auction. 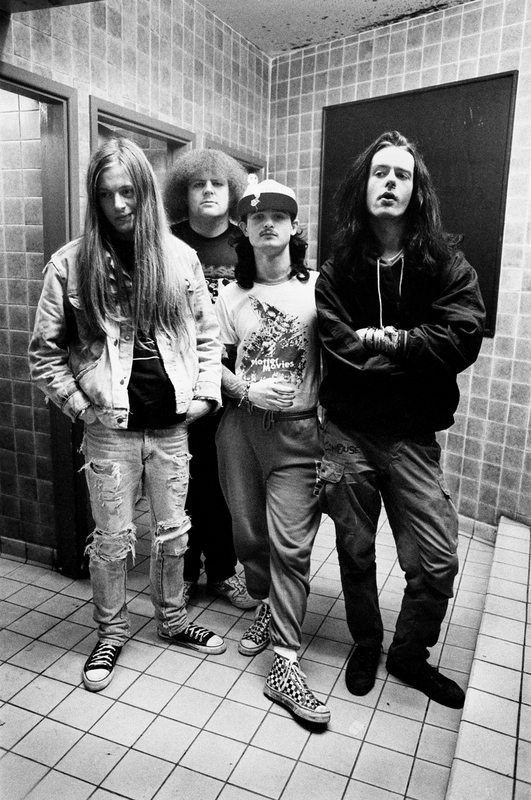 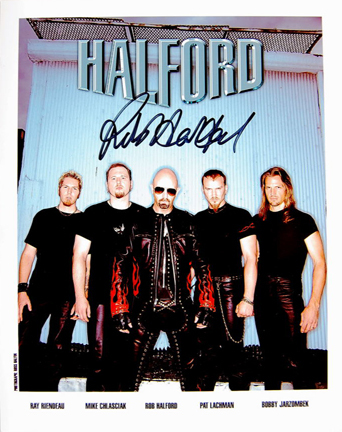 Promotional press photograph of the band Halford. 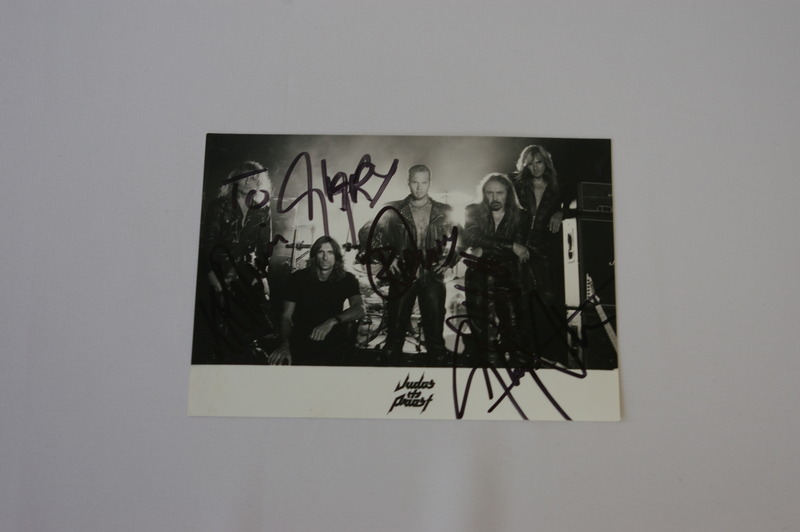 This photograph was taken by Ross Halfin and signed by Rob Halford. 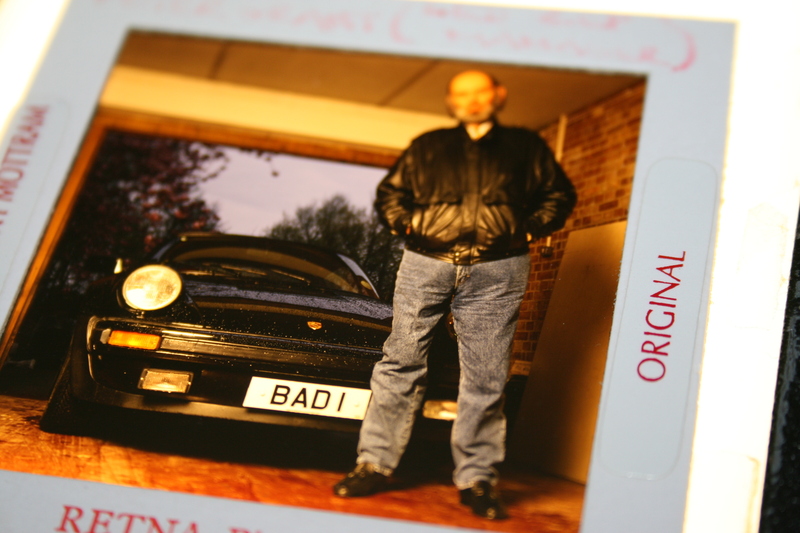 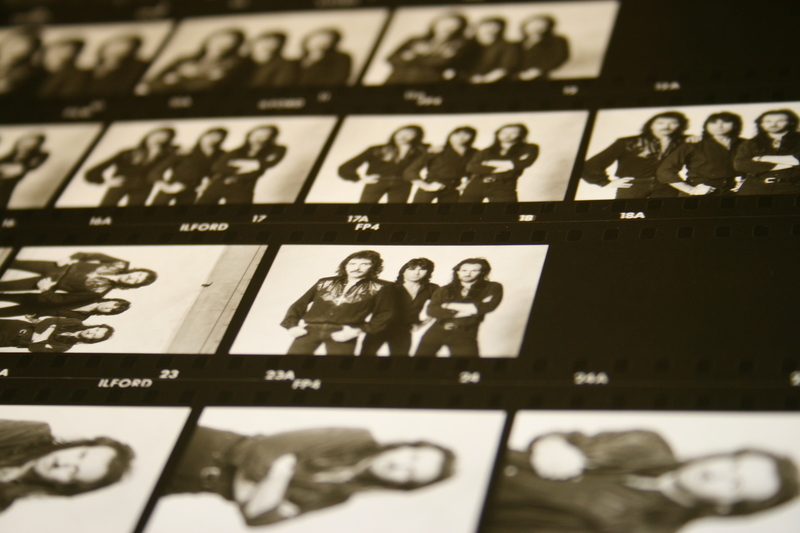 Several slides from a photo shoot. 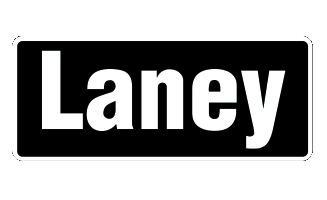 Probably for Metal Hammer. 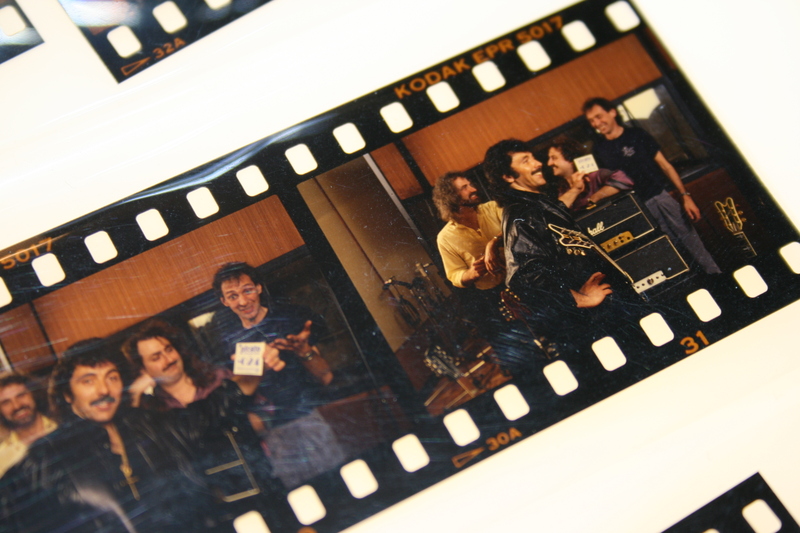 Tony did a sesion with Led Zeppelin’s manager Peter Grant at his home. 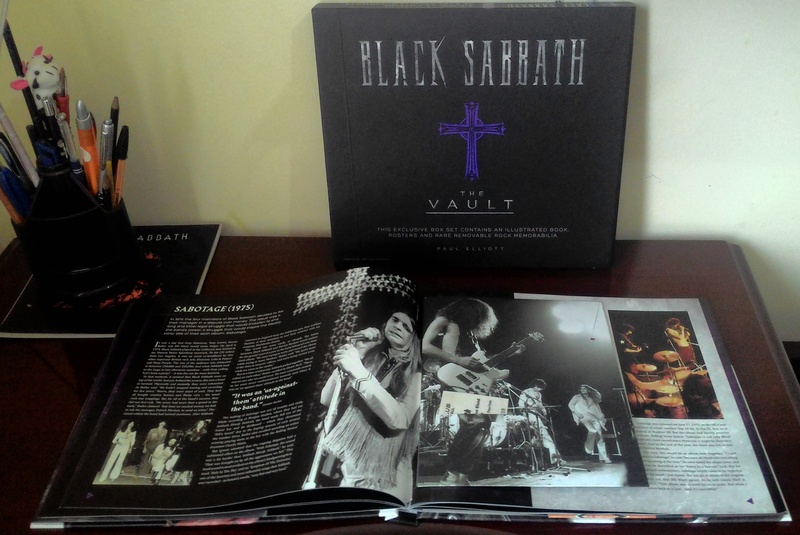 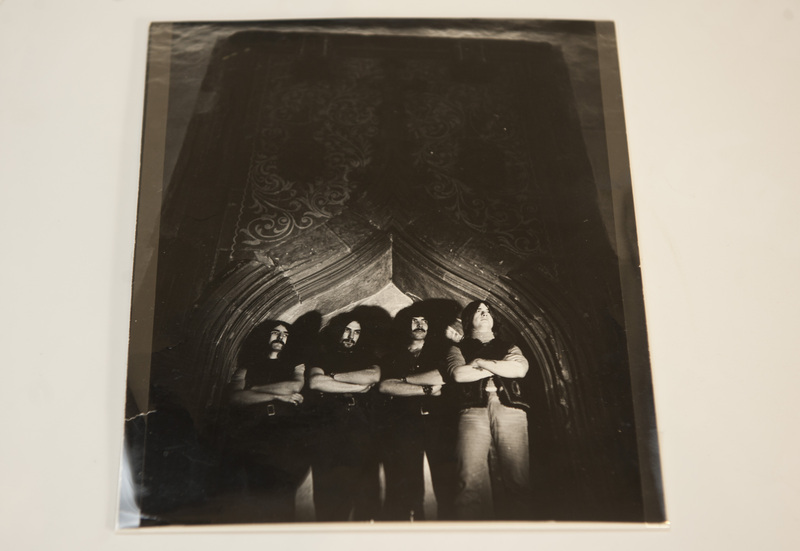 Featuring 20 items of removable facsimile memorabilia, including posters, tickets, flyers and signed photographs, Black Sabbath: The Vault gives the reader a front-row seat (and backstage access as well) to the career of these true legends of rock. 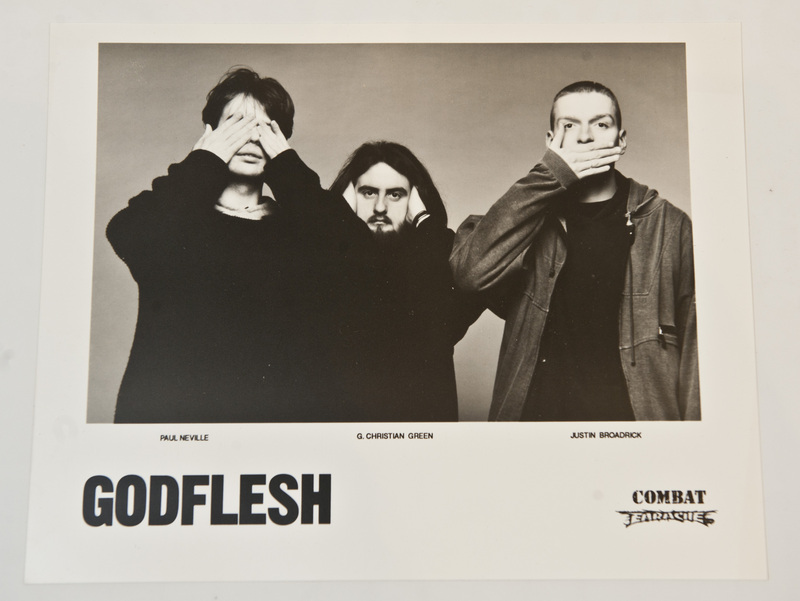 Godflesh photographs & t-shirt, circa 1988. 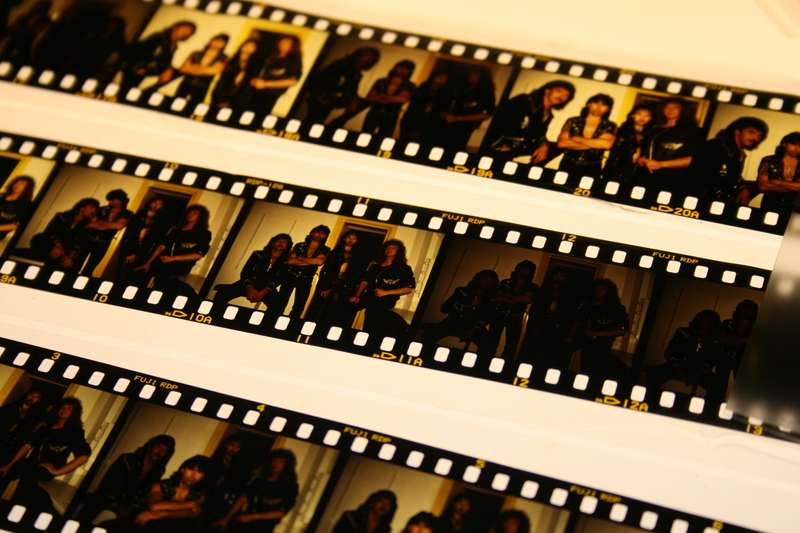 Photos from a video shoot. 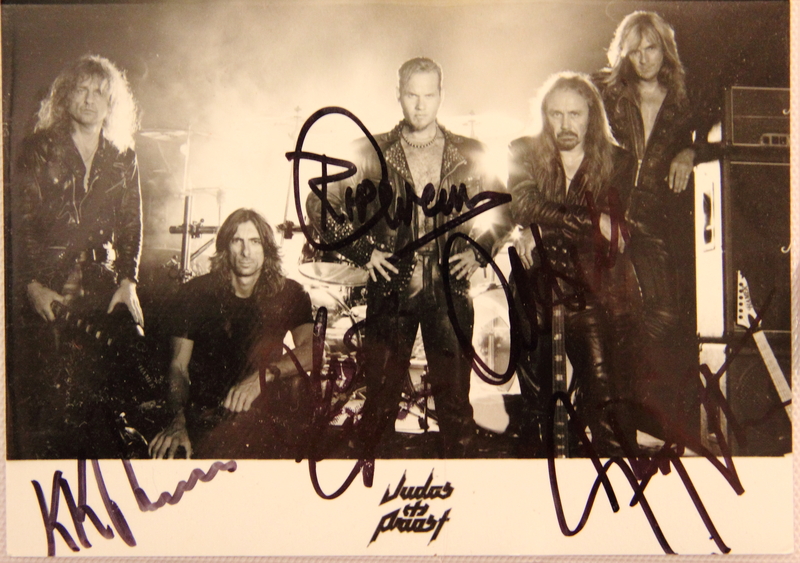 A Judas Priest press promotional photograph. 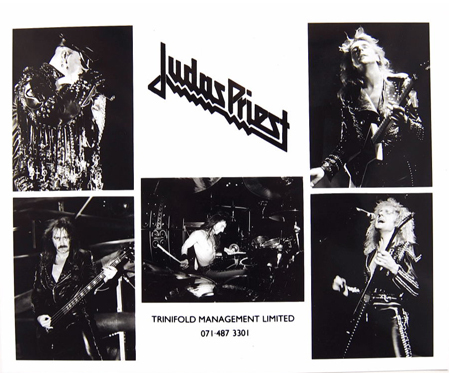 This will have been from the 'Painkiller' era, around 1991. 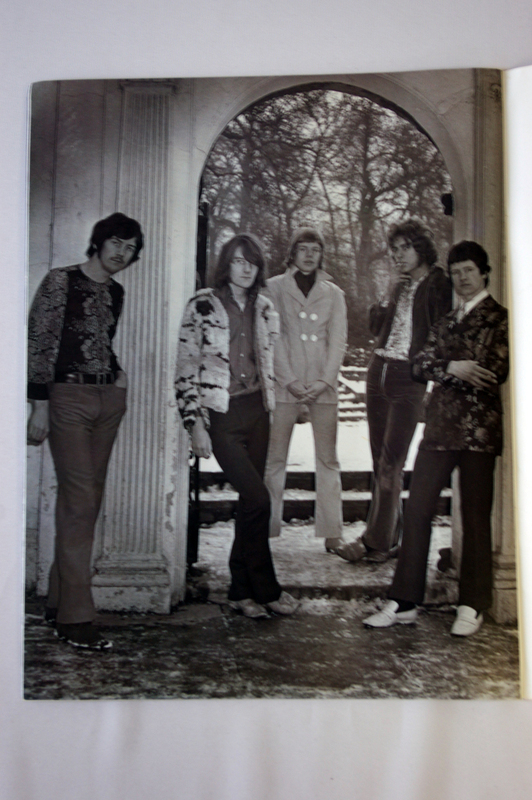 Note the old London dialling code for the bands management company - 071! 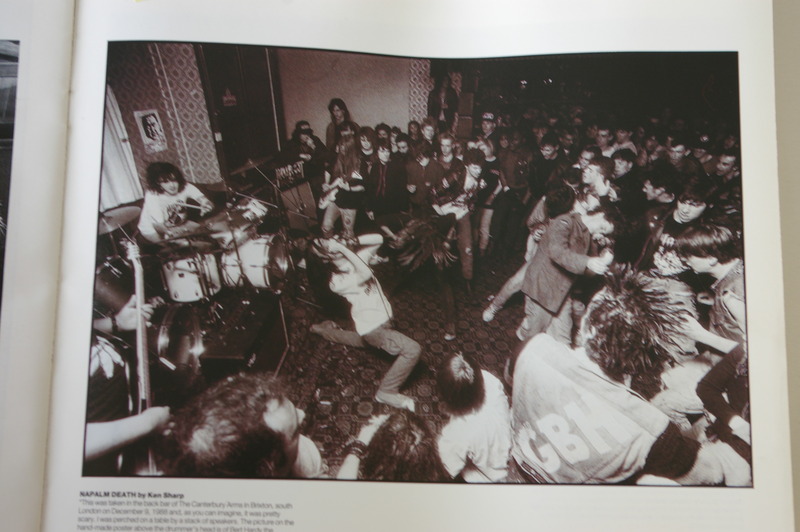 Courtesy of Digby Pearson, founder of Earache Records From their archive. 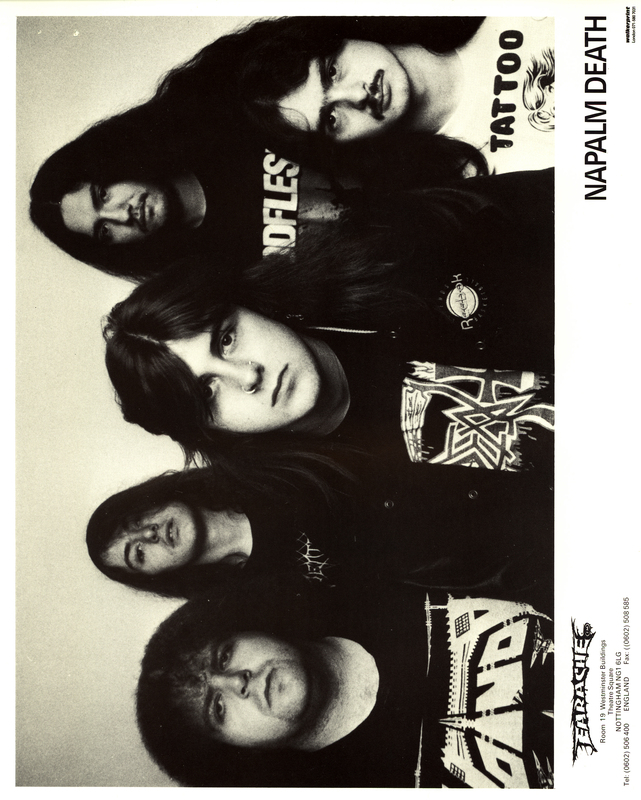 We might be slightly out on the date of these photos which are likely to have been taken for Metal Hammer. 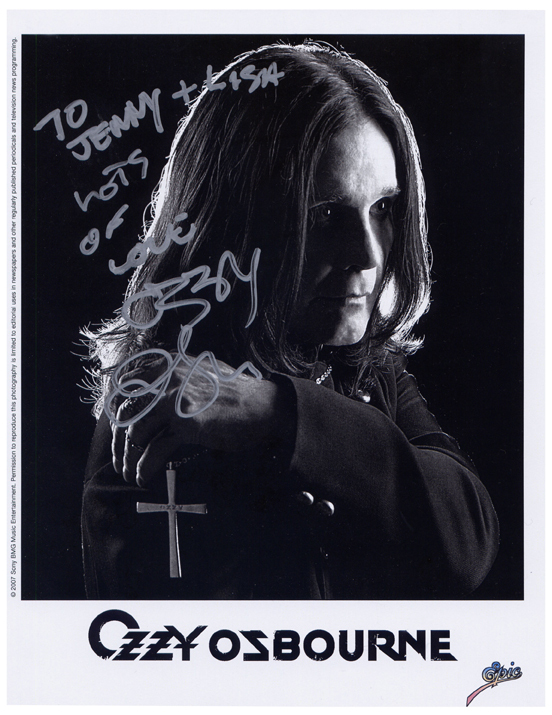 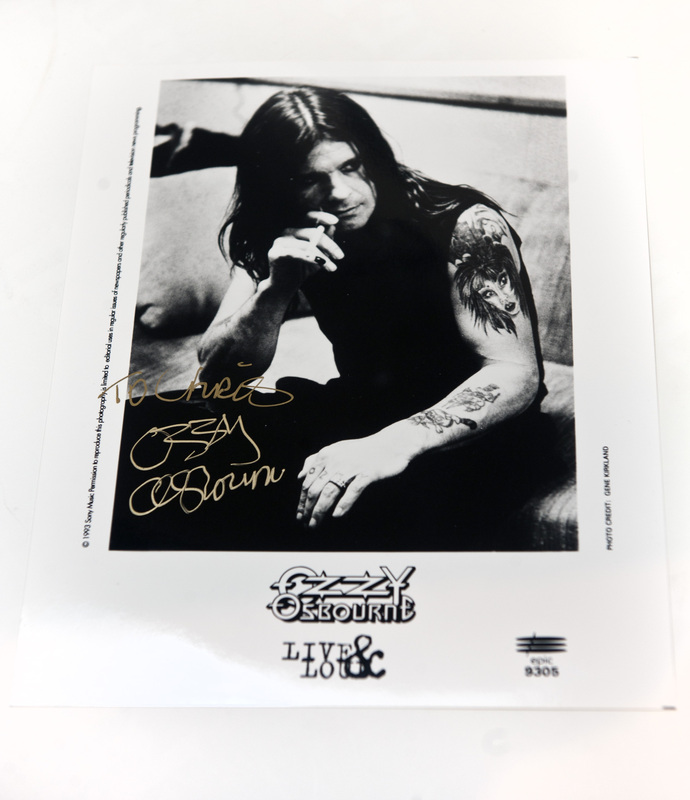 A signed photograph of Ozzy Osbourne, signed To Chris.